Since I found out I was expecting little lady, suddenly everyone else was pregnant too. The unfair thing was everyone's due date seemed to be before mine! how unfair is that? There must be something in the water where I live, now 24 weeks pregnant and I know a total of 8 other people who are all expecting! Forgive my excitement, but I just gave my gift to one of my close friends. If I'm honest when I picked it up I wanted to keep it for myself - does that make me a little selfish? It was so cute I fell in love with it as soon as I saw it. The quality of products used was amazing, and it was wrapped up ready to be presented. I found cuddly cakes on Facebook, The lady who runs it is called Sarah, she was very happy, and is willing to accommodate all your needs. 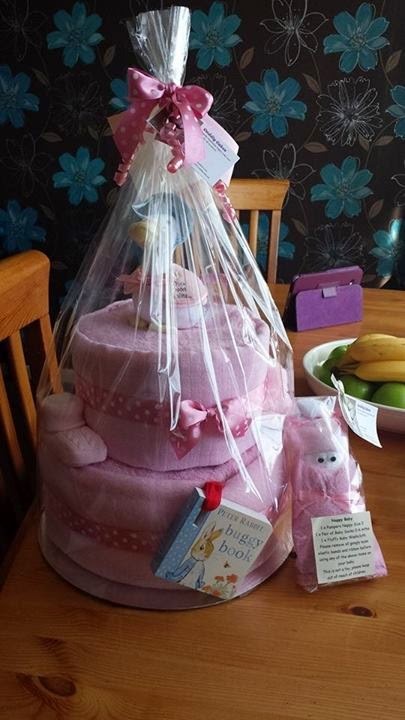 She changes the design of the nappy cakes to fit how you may want it. 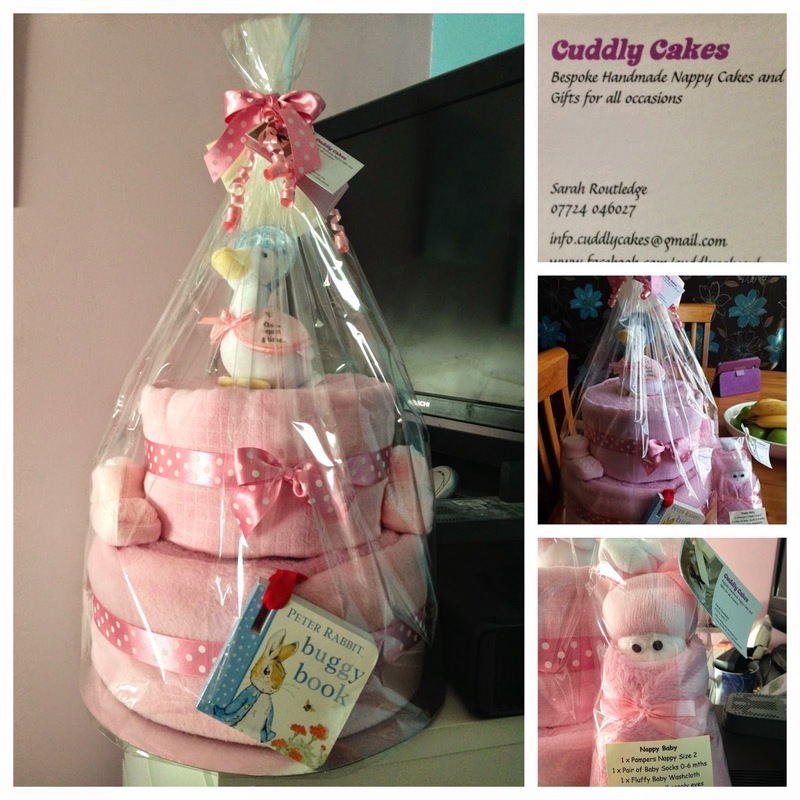 Sarah makes nappy cakes and baby gifts to suit all budgets from as little as £2.50 to £60 and beyond. As a parent herself, she will only use the brands most trusted by parents, Including Johnsons, Tommee Tippee and pampers. However, she can accommodate your individual needs and will change the brand of product to one you prefer if need be.